CRAZY OFFER is ON! Get crazy deals from footwear to bags at Shoexpress! Valid in: Fujairah, Abu Dhabi, Al Ain, Dubai, Ras Al Khaimah, Sharjah. 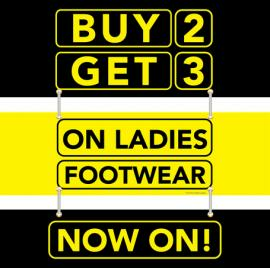 BUY 2 GET 3 on selected Ladies Footwear & Handbags across all Shoexpress stores! Visit Now! T&C. Valid in: Fujairah, Abu Dhabi, Al Ain, Dubai, Ras Al Khaimah, Sharjah. Shoexpress Discount Voucher Promotion. 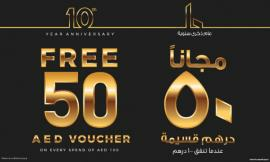 Get AED 50 discount voucher when you spend AED 150. 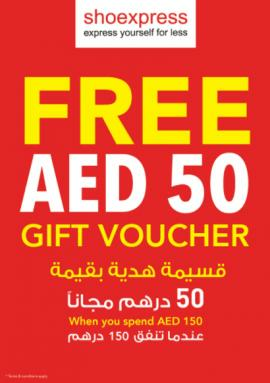 Valid in: Fujairah, Abu Dhabi, Al Ain, Dubai, Ras Al Khaimah, Sharjah. T&C apply. 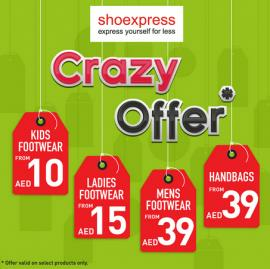 Crazy Offer is back with more amazing deals, across all Shoexpress stores in the UAE. 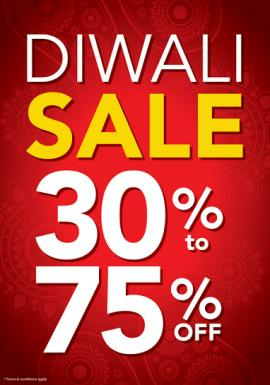 Diwali Sale is here! Get up to 75% OFF at Shoexpress Dubai Stores until October 19th, 2017! 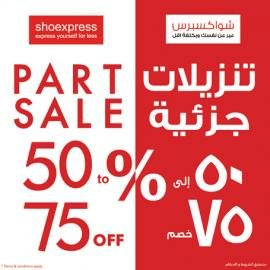 Shoexpress - Get 50% to 75% OFF on all Shoexpress Abu Dhabi and Al Ain stores. Shoexpress - PART SALE 30% - 75% OFF. Get 30% - 75% OFF on selected items at Shoexpress Dubai, Ras Al Khaima and Fujairah stores. 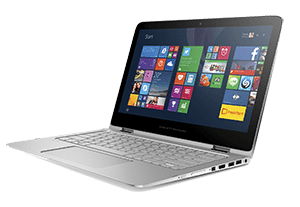 Shoexpress Part Sale 25% to 75% off. 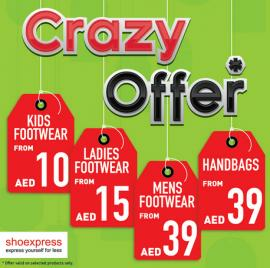 Shoexpress Crazy Offer is Back. Shoexpress - Part Sale 25% to 75% off. 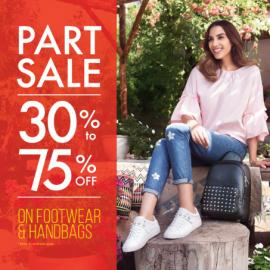 Started in 2009, Shoexpress aims to offer customers a real value experience, through an extensive assortment of fashionable footwear and accessories at truly unbelievable prices. It currently operates more than 110 stores across the Middle East & North Africa with plans of opening a number of new stores each year. 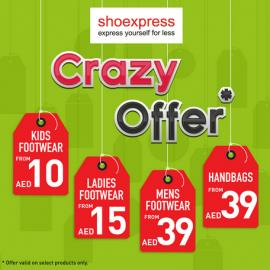 Get all information about Shoexpress Dubai offers, Shoexpress offers in Sharjah, Shoexpress Abu Dhabi offers, Shoexpress Dubai sale, Shopping Mall offers, footwear & shoes offers, fashionable footwear and accessories, costume jewellery, handbags, purses and Shoexpress sale in Dubai by browsing through TomatoSALE.